I know you are not much interested in "fan" letters, but I think this one will perhaps claim your attention. It warmed my heart more than many letters from the good and the great. Think of Margie's3 having a niece4 who could write a letter so simple and clear, and with all so dignified. Her Aunt Margie had a kinder fate, certainly, than some of her aunts. One of Mrs. Anderson's5 older daughters, "pore Allie6", married a terrible brute who frequently beat her up. The last beating he gave her killed the child she was carrying, the child was born dead, and Allie naturally died from blood poisoning. When you have read Mrs. Ackroyd's letter and my reply to it, please send her letter, my reply, and this letter of explanation to Roscoe7. I think this correspondence would interest him. He may even remember Margie's mother. My hand8 is certainly improving, although I still wear my metal gauntlet9 and have massage every day. I begin to feel that I will eventually be able to write with it again, though I suppose I will always hold the pen between my middle and third fingers. 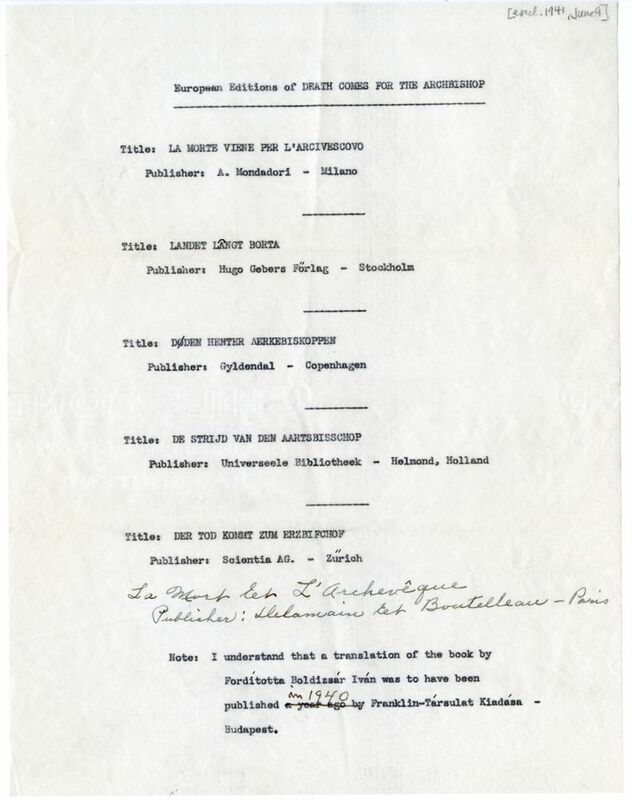 Document is one leaf, typewritten on recto only. Includes one enclosure. Includes a copy of a letter from Willa Cather to Rose Ackroyd from May 16, 1941 (#1542). Also includes a typewritten list of European editions of Death Comes for the Archbishop. 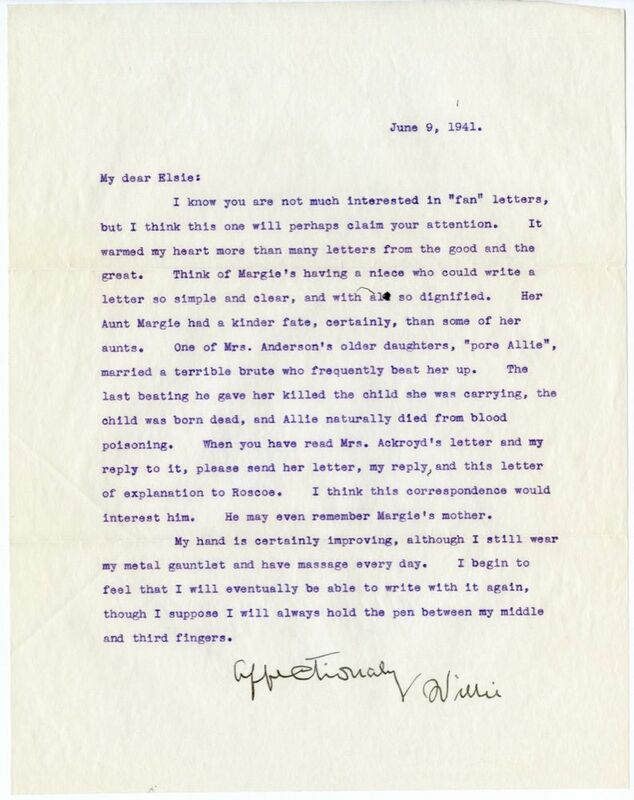 Letters written shortly before (#2182) and after (#1545) confirm Cather was in New York City in early June 1941. Though Mary Ann Anderson had a daughter called "Allie"--Alverna Virginia Anderson Marple (1856-1917)--this does not seem to be the person Cather refers to, as her story does not match the one told here. Another Anderson relative, Nancy Marpole Pool, wife of Alan Pool, died in 1882 at the age of twenty-four, and could possibly be the woman referenced. 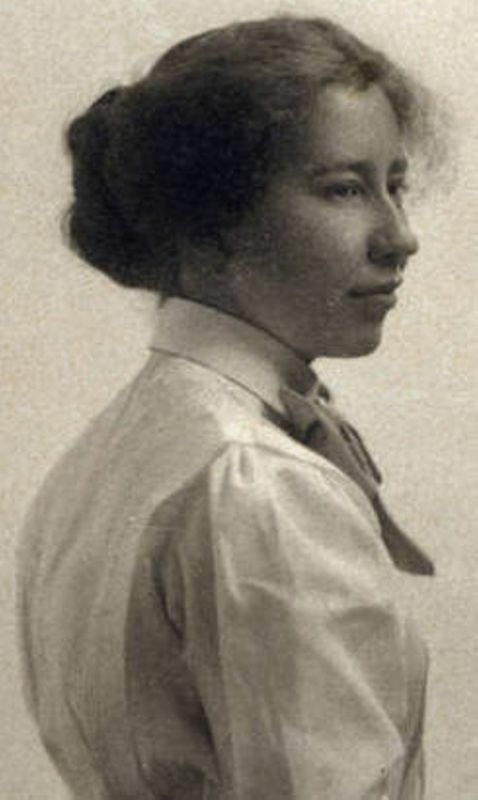 Ackroyd, Rose Anderson Compton (1874-after 1940). Granddaughter of Cather’s Virginia friend. 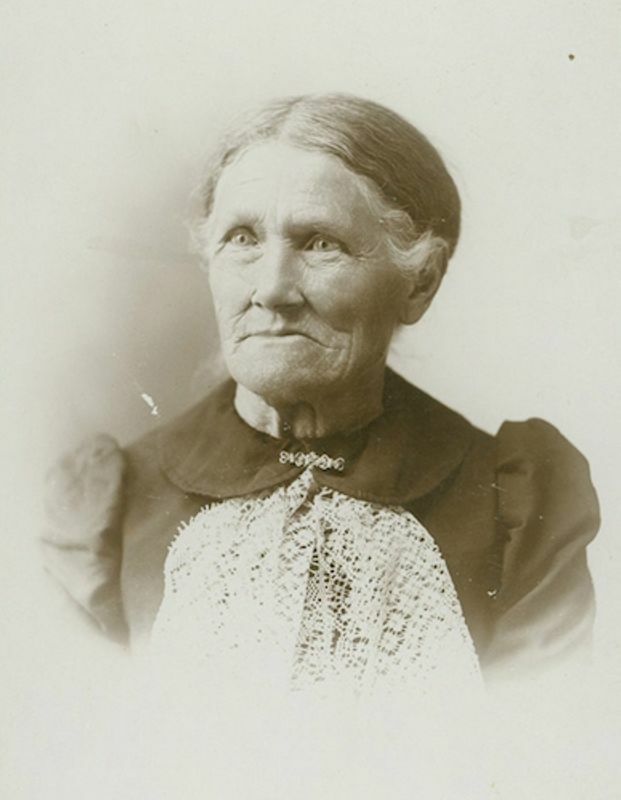 Rose Anderson was born in rural Frederick County, VA, daughter of Gabriel and Catherine Anderson; her father was the fourth son of Mary Ann and Asa Anderson of Back Creek, Frederick County. Rose married George E. Compton in 1896 and moved to Pennsylvania. 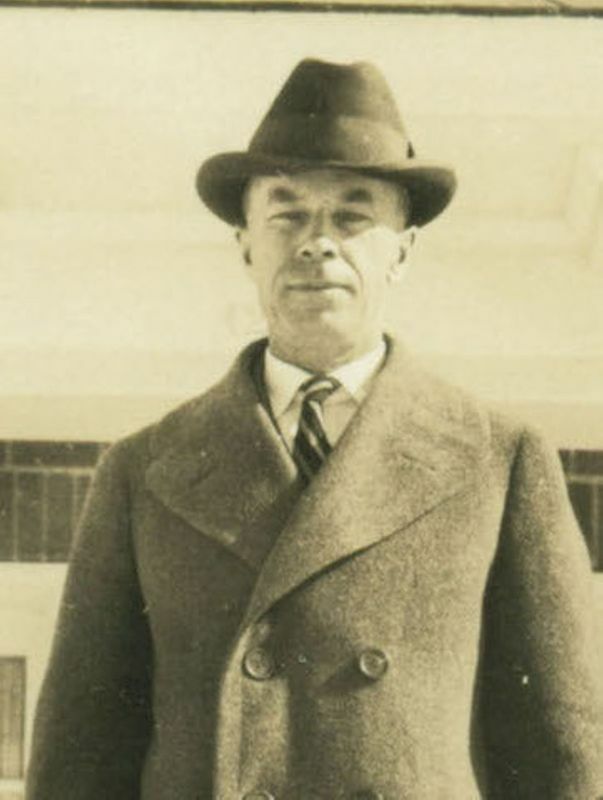 Widowed, she married a Mr. Ackroyd about 1915; by 1930 she was widowed again and living in New Jersey, where she still lived in 1940. 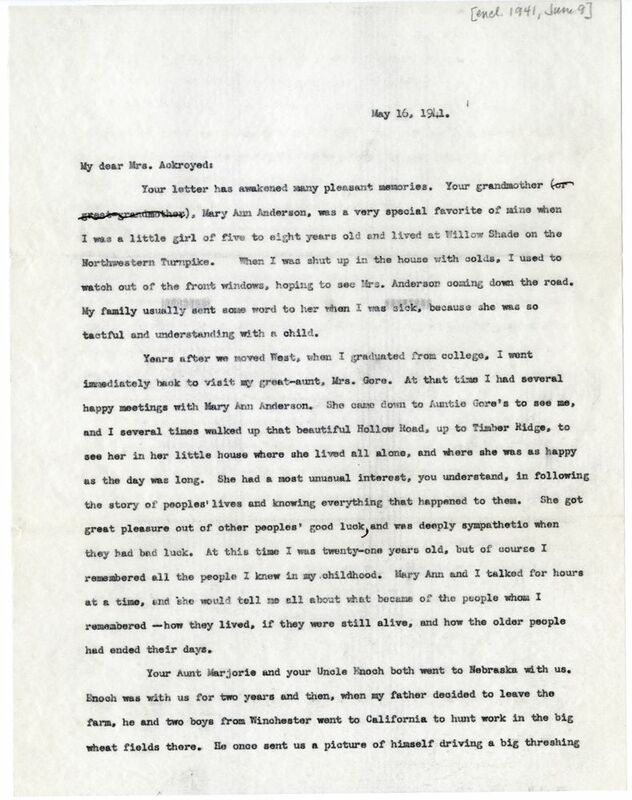 When she wrote Cather about Sapphira and the Slave Girl (1940), recognizing her paternal grandmother in the character of Mrs. Ringer, Cather responded with her own memories of Mrs. Anderson and her family, two of whom, Enoch and Margery, came to Nebraska with the Cathers and are prototypes for characters in My Ántonia (1918). Anderson, Mary Ann Marpole (1820-1902). Cather family friend. A distant relative of the Cather family, Mary Ann Marpole married Asa Anderson in 1838. Widowed in middle age, she raised a large family on a farm in the Timber Ridge area of Back Creek Valley, VA; her daughter Marjorie and son Enoch accompanied the Cather family to Nebraska. 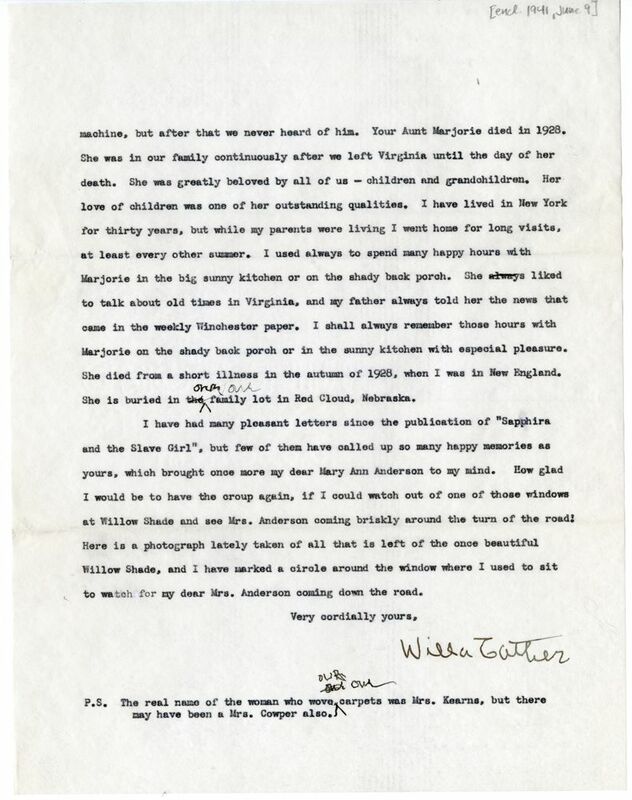 Mrs. Anderson’s visits to the Cather family home in Virginia when Willa Cather was a child inspired Cather to portray Mrs. Anderson as Mandy Ringer, the cheerful and “born interested” mountain woman in Sapphira and the Slave Girl (1940).